The Tea Party has some good ideas. Eliminating the Federal Reserve is not one of them. People blame the Federal Reserve Banking System (FRBS) for such things as devaluing the dollar and causing the Great Depression. People actually do those things, through their misguided notions of trying to help – not the FRBS. That is like blaming the gun for killing people, not the people holding the weapon. Americans have a dangerous form of myopic ignorance. First, we don’t really understand governing processes very well. To compensate, we listen to allegedly smart people to tell us how we should think. These politicians, or WannaBe Politicians, get people worked into a lather, based some some truth, half-truths, and lies. The Tea Party is fomenting ignorance about the FRBS and advocating for its abolition. Second, not only do we not understand our own governing processes well, we do not understand the relevance of these processes to the Global Economy. I call these the Downstream Effects. Dump your garbage in the stream and who cares about the effects of your actions downstream. 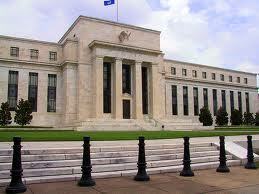 Besides controlling monetary policy within the United States, the FRBS also engages with other countries. The FRBS is how countries pay each other for services or products rendered. Yes, that’s right, that is how the United States buys and sells things on the global market. I’m not talking about Wal-mart, or IBM, I am talking about the money that the U.S. borrows from other nations to meet our own budget needs. Elimination of the FRBS throws uncertainty into the balance of payment equation as countries no longer understand the value of American currency. People also need to understand this, too. Most all other developed nations, Japan, China, Russia, Germany, all have their own Central Banking System (CBS). These CBSs pretty much work the same way our FRBS works; controlling the money supply, interest rates, etc. Thus, not only does the United States have Fiscal Management Policies centered on a CBS, but all of our trading partners do, as well. Again, by going our own way, other countries now no longer have a basis of valuing American currency. Our trading partners expect and anticipate that everyone essentially operates in fundamentally the same ways, by the same set of predictable rules. Consider this allegory for a moment. Imagine that each of our 50 States has its own currency. As long as each state operates by the same rules for circulating currency, each state understands the value of its own currency, and the currency of surrounding states. That is not to say that the values are equal. A California dollar may be of higher value than an Idaho dollar, or a Kentuckiana dollar may be more valuable than a Tennessean dollar. Exchange rates would be tabulated each day so people and businesses would know the differences in value. But, the market rules would be the same across the board. Now consider what happens when Kansas decides to eliminate Corn-backed monetary policy and instead impose a value based on Faith and the amount of Kansas dollars in circulation. People, being familiar with currency backed by some commodity, would have no idea what the value of the Kansas dollar might be. The Kansas dollar could become worthless, making life miserable for Kansans. The Kansas Government could peg the value of their dollar to the California wine-backed dollar, thereby saving the value of their currency. Kansas changed the rules for its currency. Our American lives are much better off that the individual state currencies alive before the Civil War did not survive after. Change the rules of our National currency has the potential of ruining the Global Value of our currency. Another caveat to toss out: in order for the dissolution of FRBS to work, ALL OTHER COUNTRIES WITH CBS MUST DO THE SAME. Ron Paul-R (TX) states this in his book, “End the Fed,” but states it in passing. All countries must agree to allow their currencies to float in the same way U.S. currency would float, or the process immediately fails, the American currency then becomes worthless. Now, what is the likelihood of all countries trashing their CBS in favor of free-floating currency. About the same as Satan converting to Catholicism, I’d wager. Next, for our currency to have any value whatsoever, our money must be backed by something other than Faith (which it is essentially backed by now). That means returning to a precious metal supported monetary framework, like Gold. Again, another problem arises. In order to maintain the value of Gold, that means control of the Gold Supply. All Gold mines in the United States must then become wholly-owned, nationalized, by the government. Private ownership of Gold would also be severely restricted. In 1933 & 1934, in order to control the Gold supply, Executive Order 6102 required all people to sell their gold to the United States Treasury at a fixed price. Only since 1975 have Americans been able to legally own gold beyond a wedding ring. Allowing U.S. to be backed by a precious metal and managed by market forces may seem like a good idea. Actually, to me, this is a horrible idea. I should say, to the inattentive it may sound like a good idea. Or to those that are frustrated by current events, the removal of the FRSB may seem like a good idea. The problem is that proponents, the Tea Party, especially Ron and Rand Paul, do not adequately describe the pitfalls of FRBS dissolution. I can only assume these proponents fall victim to Downstream Ignorance. They only see current events through a very small “lens” lack perspective regarding the repercussions of their ideas, and either have not fully explored all effects or simply do not care. February 14, 2011 in Politics.